The second edition of the highly-successful Collins Advanced Modular Sciences series has been updated to match the latest specifications and is fully endorsed by AQA. The book also contains material designed sppecifically to prepare students for the synoptic elements of the A-level examination. The Series Editor, Colin Chambers, is a Senior Examiner for AQA Chemistry. He is an ex-Head of Department for Chemistry and a well-known INSET provider. Lyn Nicholls is a teacher of chemistry working from KS3 to A/AS-level. She is a published author contributing to books and resource poacks at KS3 and beyond. Mary Ratcliffe is a lecturer in Science Education at the University of Southampton. 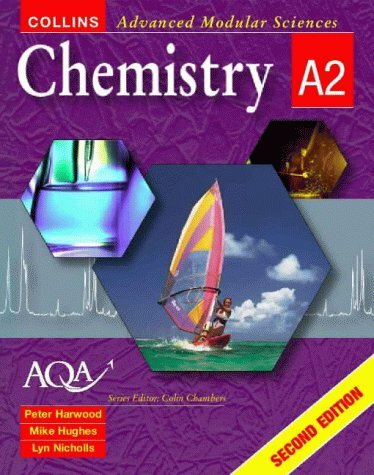 Content coverage of the three AQA A-level Chemistry modules: A2 Module 4: Further Chemistry 1 A2 Module 5: Further Chemistry 2 A2 Module 6: Further Chemistry 3 The book also contains material designed sppecifically to prepare students for the synoptic elements of the A-level examination.